The final panel in a major piece of art to celebrate the births of babies born during Hull’s year as City of Culture has been unveiled. Families and midwives watched as the last panel in “Born Into A City of Culture” was unveiled in the foyer of Hull Women and Children’s Hospital this morning. Charlotte Gorman, 24, attended the unveiling with baby son Dougie, one of the last babies to make it onto the artwork after he was born on December 22. “He was originally due on January 13 so he was just going to miss having his footprint taken,” said Charlotte, who lives off Spring Bank West in Hull. 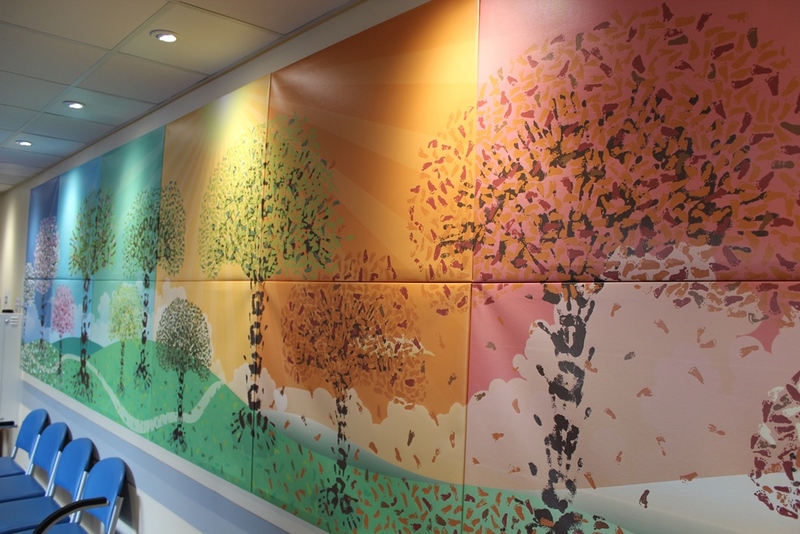 Handprints from midwives were used to create the tree trunks and the branches for the artwork while thousands of footprints of babies were taken to create the leaves. The final panel features babies born in November and December. However, another tree had to be created to fit in all the babies who came to “catch up sessions” after their footprints were not taken at the time of their births. 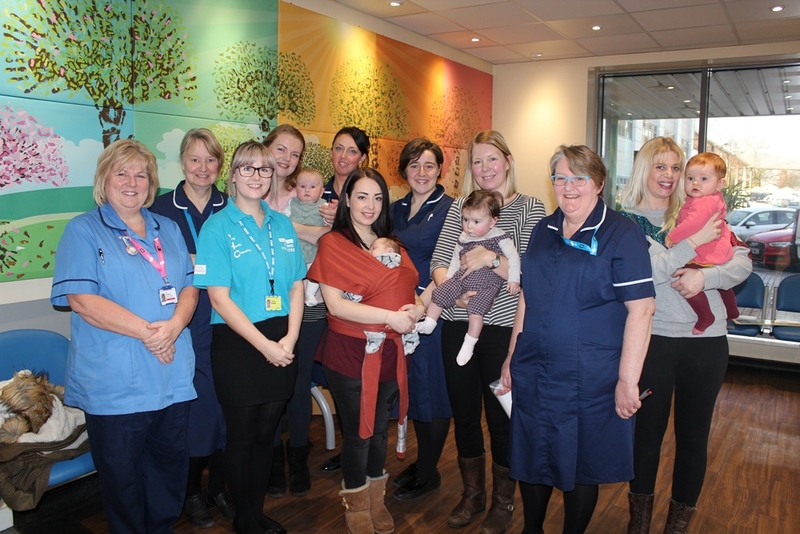 Kirsty Mills, of Leven, brought her seven month-old daughter Lottie along to a catch-up session advertised by the trust on its Hull Woman and Children’s Hospital Facebook page in December. She said: “A friend tagged me into the post and I got in touch with the midwives to see if we could come along. “We had missed getting Lottie’s footprint originally so I was so pleased to find out we could still get it done and we rushed through from Leven to get it done. Community midwife Sallie Ward, who came up with the idea as a way for the trust to play a part in the City of Culture year, was at the event to watch the final panel being put in place. More than 1,400 tickets have been sold for a celebration at the Guildhall on Wednesday, January 24, where families will be able to share memories and meet other parents who took part in the event. Families can buy up to four tickets, costing £1 each with a 50p booking fee, to ensure as many as possible can attend the event, with City of Culture director Martin Green and head of midwifery Janet Cairns among the guests. All six postcards of the artwork will be on sale at the event, which runs from 9am to 3pm, costing £6 for the set or £1 each. Prints of the six panels can be purchased for £7 each or two for £10. Limited edition canvases can also be ordered. Visit www.hey.nhs.uk/news/2018/01/09/need-know-born-city-culture-celebration for more information about Wednesday’s celebration.